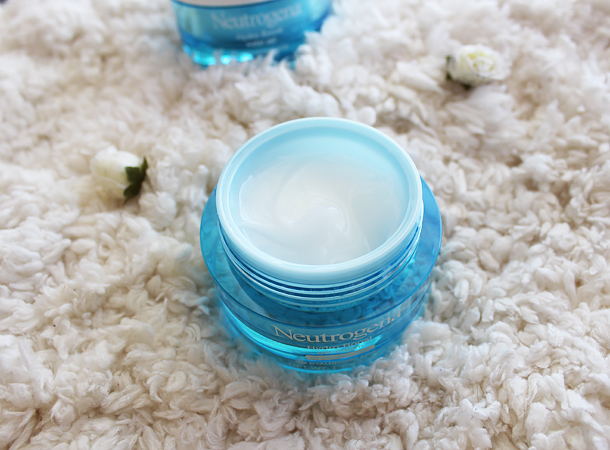 I was sent these two moisturizers from Neutrogena to test out two weeks ago and now want to share my opinions with you. I hadn’t been this excited about a drugstore skincare launch in a long time. As I’ve mentioned before, I prefer moisturizers in gel formulations. They work with my normal skin type and the tropical humid weather I live in. I prefer to use moisturizers that come in tubes or have pumps (it’s more hygienic). However, props to Neutrogena on the look Hydro Boost packaging. The jars are plastic (better for traveling) but they have some weight to them and they look sophisticated. Before testing these moisturizers, I immediately thought of the Garnier Moisture Rescue Gel. I used the Garnier gel consistently until I switched to the Clinique Dramatically Different Moisturizing Gel. 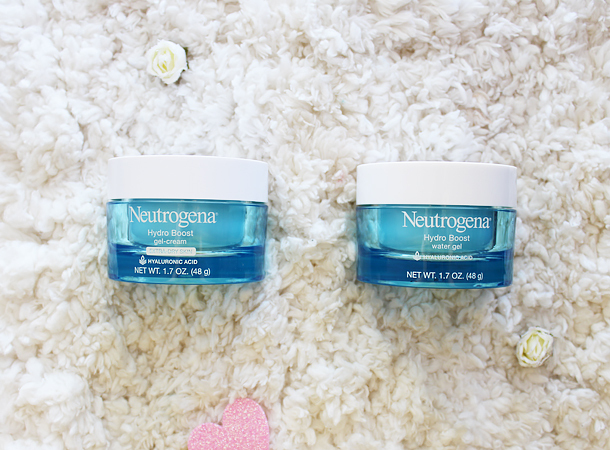 I will be comparing the Neutrogena Hydro Boost to both of them. Both the Hydro Boost Water Gel and the Gel-Cream feel almost the same to me. They’re thicker than the Garnier Moisture Rescue Gel but thinner than Clinique’s. 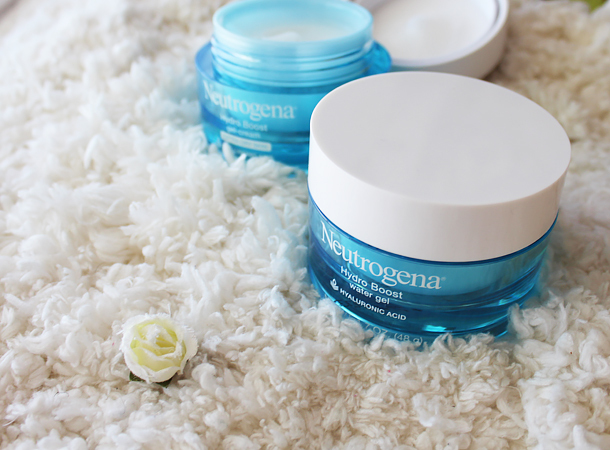 The Hydro Boost moisturizers absorb quickly into the skin. When I wear them my face stays feeling soft throughout the day (you know how some moisturizers seem to “wear out” and your skin feels tight midday). As I said, I don’t notice a huge different between the Water Gel and the Gel-Cream and would actually recommend the Water Gel for oily skin and the Gel-Cream for combination skin. I think neither of these are suitable for dry skin. The Hydro Boost moisturizers contain silicones. I thought I would mention this because I know some people prefer to steer away from silicones due to the fact that they don’t sit well with their skin. My Clinique Dramatically Different Moisturizing Gel also contains them (although in smaller amounts) so it doesn’t make a difference to me. I think the price point for these moisturizers is high for drugstore products. Their price per ounce ends up being around the same compared to the 1.7 oz version of the Clinique Gel. However, since Neutrogena is sold at the drugstore chances are you will never pay the full price thanks to coupons, discounts, and offers. Let me know if you have tried these and what your experiences were. I saw these the last time I was at my walmart, they look interesting i love their moisturizer. The only thing that didn't really sell with me is they have no SPF in them. Defiantly may look into these for the winter time here in Canada. I was looking for new products for dry skin, thanks for sharing ! I used to use the Clinique Dramatically Different Moisturizing Gel for years so it's great that there is something comparable in the drugstore. I also have to say that they did a great job with the packaging. I loved the blue plastic that they used, it looks very fresh and modern. Ooohhhh I don't think we have the hydroboost gel creme here, the water one yes. These sound really interesting, will have to give them a try!